The SUPERA Solar Lighting System is used for pathways, streets, parking lots, perimeter, security, parks, and medium to large area lighting projects. The Supera Series solar lighting pole features a 60 – 80 watt “Cobra Head” style LED fixture with 2 solar panels. The system provides great light output with various distribution pattern. The Supera is also Dark Sky Friendly. The Supera Series solar lighting pole features a 30 – 40 – 60 – 80 watt LED fixture with 2 solar panels. We use CREE XPG-3 LED fixtures, which feature 130 lumens per watt. The solar pole lights from this series are designed to withstand extreme weather. They’re built with high quality galvanized steel poles, corrosion resistant powder coating, and durable aluminum frames for the LEDs and can withstand the most challenging, harsh environments. 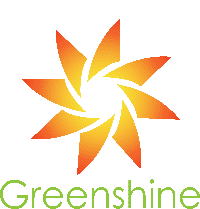 Greenshine’s engineers have designed the product to have 7 days of autonomy. The batteries are gel deep cycle batteries, with 12 years of floating design life, designed for frequent cyclic discharge under extreme temperatures. Our Supera Series come with a 25-year power output warranty: 5 years/95%, 12 years/90%, 25 years/80%. The lights themselves are customizable for your needs. Options for light output and pole height are available in order to provide sufficient light for numerous applications. The Supera Series is perfect to light up medium to large size areas, such as roadways, highways, streets, parking lots and entrances. GS-LED-NSB – a square form LED light fixture with sleek sloped top line. Please visit our Solar LED Lighting Fixtures page for additional details and specifications.